Norman Ellis turned my life around when I was 15 years old. We stayed friends until he died of dementia last year. His daughter Gill Belchetz has written a wonderful book – her first. “A Game of Consequences’ - Every action has a consequence. The stories range from Leeds to Lahore, from Mombasa to Paris and yet, somehow, are interlinked. The proceeds from this great book will go to charities leading the fight against dementia. Buy the book, give copies to your friends and family. Help make a difference to the 850,000 dementia sufferers in the UK and elsewhere. 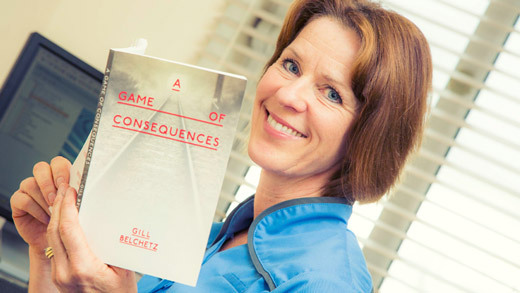 ‘A Game of Consequences' is available on Amazon.